In India, 8 out of 10 employees are likely to give up higher pay or career advancement for the opportunity to learn new skills, according to a report by global workforce solutions leader, Kelly Services. Apart from skill development, work-life balance is one aspect that potential employees are considering while taking up a new job with 58 per cent of Indian employees likely to give up higher pay and/or career growth or advancement for a more flexible work schedule. "It is extremely important to ensure a company's compensation and benefits plans are competitive, but retaining workers also involves giving employees opportunities to improve their work-life balance, offering them flexible work arrangements, and providing clear plans for their further training and development," Kelly Services & OCG India managing director Kamal Karanth said. The study titled 'Workers preference and workplace agility', said that attracting and retaining employees goes beyond offering competitive pay. Another important trend that has been observed is the preference to work for a global company rather than a national company as 62 per cent of workers in the APAC region would prefer to work in a global company as compared to 10 per cent of workers surveyed who preferred to work in national companies. Additionally, the paper also said there is a relatively high degree of labour mobility inherent in the workforce. In the Asia Pacific region, many workers are very willing to relocate for work, with 21 per cent prepared to move to another country, and 19 per cent within the same country/district/province. "It is important for organisations to understand the attributes that are attractive to prospective employees. 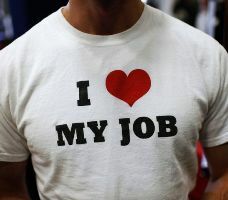 “Firms need to be able to assess their relative appeal as an employer to set their recruitment and retention strategies. “A culture that is collaborative, creative and team-oriented, and has access to leading edge technologies, may well be a strong point of differentiation," Karanth added.